Plantar fasciitis often causes intense foot pain and makes it difficult to walk, even though you can’t see any outward signs of an injury. The orthopedic doctors and sports medicine physicians at Bluetail Medical Group in Chesterfield and Columbia, Missouri and Naples, Florida are experienced in relieving painful plantar fasciitis symptoms without surgery. The practice focuses on regenerative medicine, including platelet-rich plasma and stem cell therapy, to relieve pain and heal tissue naturally. To find out if regenerative medicine can help you get relief from the pain of plantar fasciitis, call or schedule a consultation online today. Plantar fasciitis is the most common cause of heel pain for adults, especially those between the ages of 40 and 60. Athletes who put a significant amount of stress on their heels may feel plantar fasciitis at a young age. 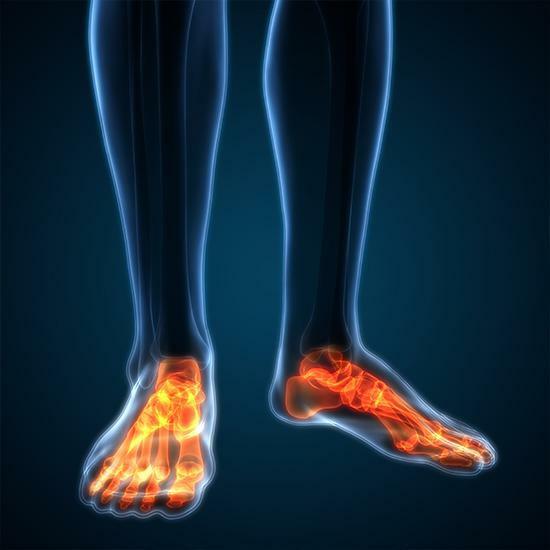 When the ligament that connects your heel bone to your toes (the plantar fascia) becomes weak, swollen, or irritated, you feel pain when you first stand up or begin to walk after getting out of bed in the morning. Plantar fasciitis may affect men and women who stay on their feet for several hours a day, and it can also be a result of wear-and-tear over the years. Too much tension and stress on the plantar fascia in the arch of your foot can result in small tears in the ligament. This may cause stabbing heel pain or pain across the bottom of your foot. A history of running, dancing, or exercising in ways that put a repeated strain on your heels can also cause foot pain and discomfort and lead to plantar fasciitis over time. Conservative treatment options for plantar fasciitis often include rest, physical therapy, or pain relievers. You can also wear more supportive shoes, lose weight to take pressure off your feet, or stretch your foot arches, Achilles tendons, and calf muscles. The experts at Bluetail Medical Group often prescribe natural platelet-rich plasma (PRP) injections under ultrasound guidance. PRP helps your body repair and regenerate soft tissue, providing long-term pain relief. Stem cell therapy may be yet another option that can help your plantar fascia heal. When your doctor injects a high concentration of adult stem cells into the damaged ligament in your foot, the cells grow into new, healthy tissue to help heal the damaged tissue as effectively as possible. The physicians at Bluetail Medical Group have years of experience treating conditions like plantar fasciitis with these regenerative therapies. After a thorough evaluation, your Bluetail Medical Group physician will create a customized treatment plan for your specific condition. To find out if regenerative therapies can relieve your plantar fasciitis pain, call or schedule a consultation online today.